I've spent the last ten years focusing so much on the craft of illustration that the thought of actually WRITING my own stories seemed totally, utterly daunting. I always felt that since writing is a skill which must be honed for many years, I had no business even attempting it. I mean, hello, I was still trying to master my first passion of choice: illustration. However, over the past year or so I got the itch to tell my own stories. The problem was, I didn't know where to begin. But wait! 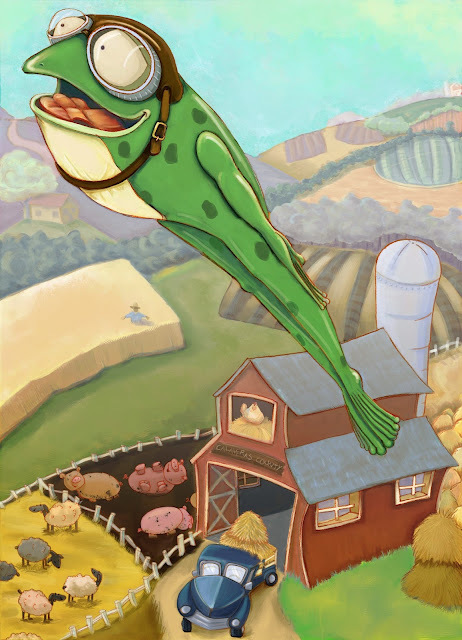 [**insert trumpet cadence here**] An email from my local SCBWI Listserv landed in my inbox announcing a nearby picture book writing workshop. I signed up (I secured the last spot--yes! ) and attended the wonderful workshop run by author/illustrator Laurie Knowlton. It was super inspiring and I left with tons of notes I will forever use as reference. 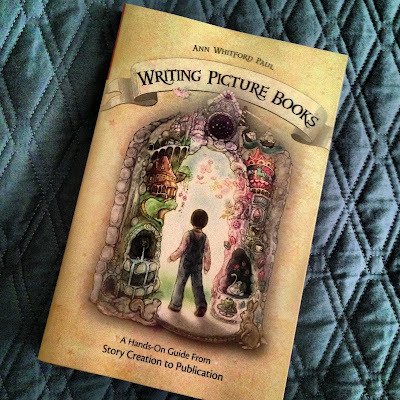 One of the best gems she gave us was the recommendation of the book "Writing Picture Books" by Ann Whitford Paul. I'm currently halfway through reading it and it really is perfect for helping me figure out the direction and format I would like for my stories. The book is written in an instructional manner and Paul discusses all the stages of writing a story from beginning to end. After every chapter, there are exercises to complete: character studies, point of view studies and other tasks which help flesh out the different components a picture book story needs. Although there is SO much great info, the book is light and moves along quickly. It's not overwhelming and full of jargon; I look forward to the time I get to spend with this book! Paul has also included examples of lots of relevant picture books used to illustrate her points. I've got a loooong list of picture books to check out during my next library visit! As I said, I'm still in the midst of reading "Writing Picture Books", but it's already helped me make strides and discover new directions for my characters and plots. I would recommend this book to ANYONE interested in learning how to craft stories that will hopefully go on to entertain lots of future readers!